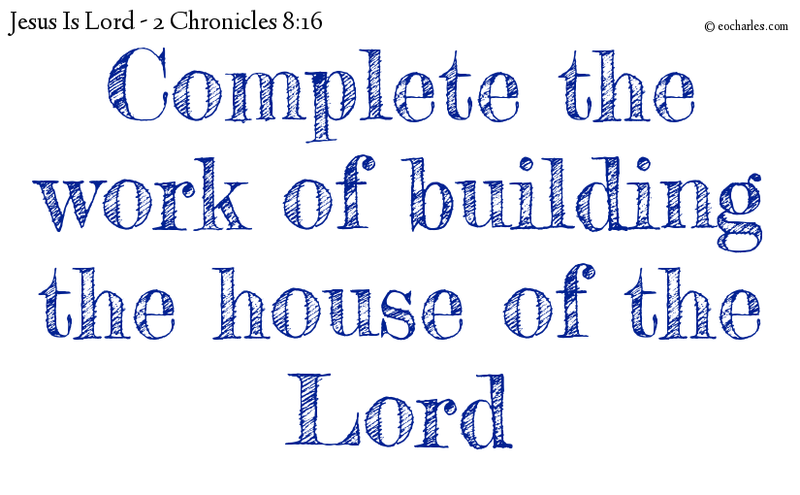 Tag: Are you not aware that your body is a house for the Holy Spirit? 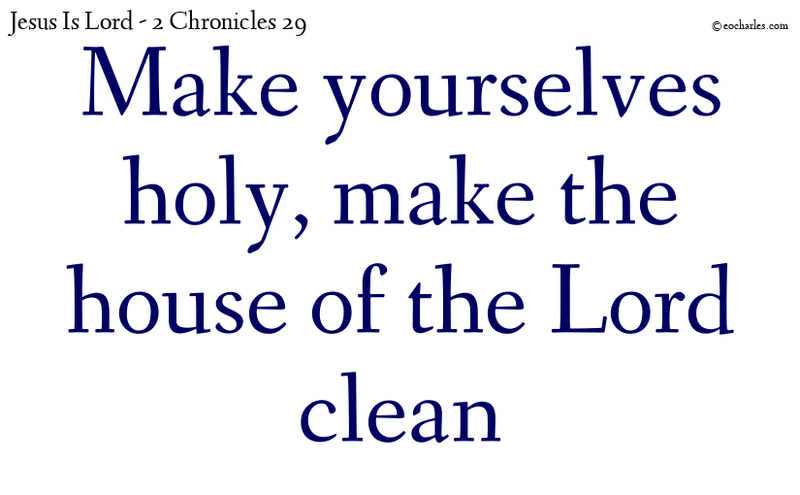 And they got their brothers together and made themselves holy, and went in, as the king had said by the word of the Lord, to make the house of the Lord clean. 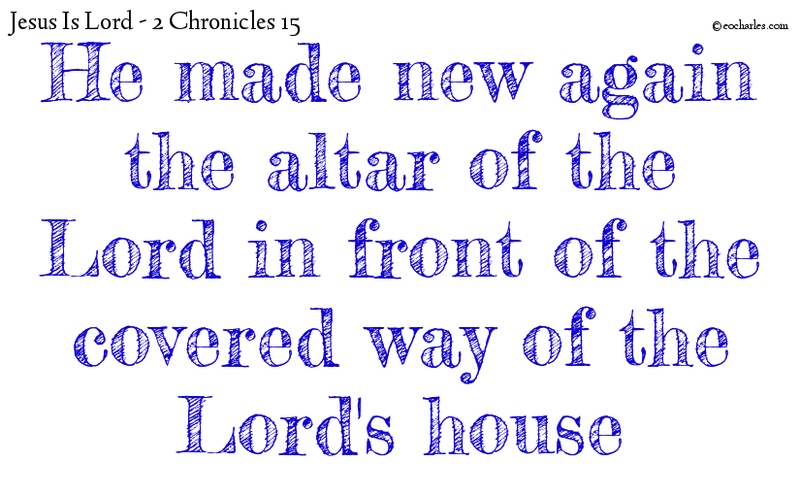 And Asa, hearing these words of Azariah, the son of Oded the prophet, took heart and put away all the disgusting things out of all the land of Judah and Benjamin, and out of the towns which he had taken from the hill-country of Ephraim; and he made new again the altar of the Lord in front of the covered way of the Lord’s house. 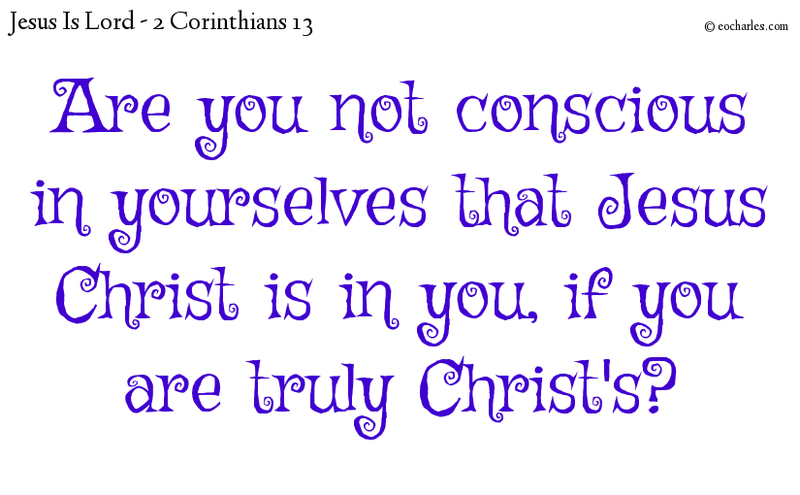 Are you conscious that Jesus Christ is in you? Make a test of yourselves, if you are in the faith; make certain of yourselves. 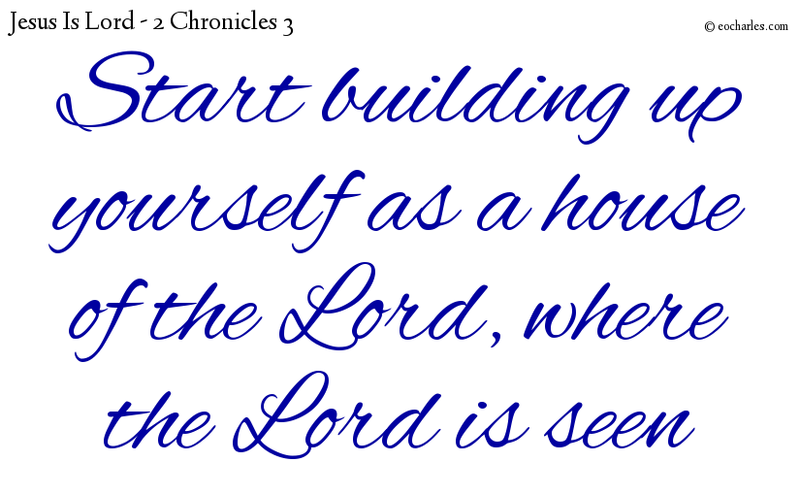 Or are you not conscious in yourselves that Jesus Christ is in you, if you are truly Christ’s? 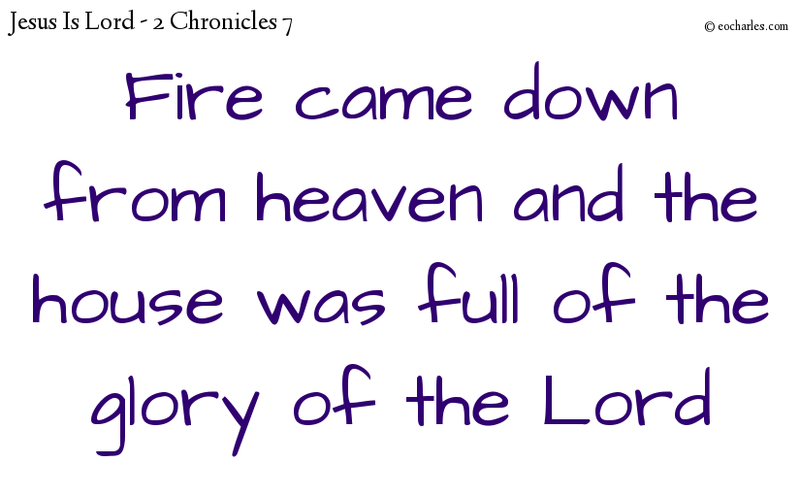 Now when Solomon’s prayers were ended, fire came down from heaven, burning up all the offerings; and the house was full of the glory of the Lord. 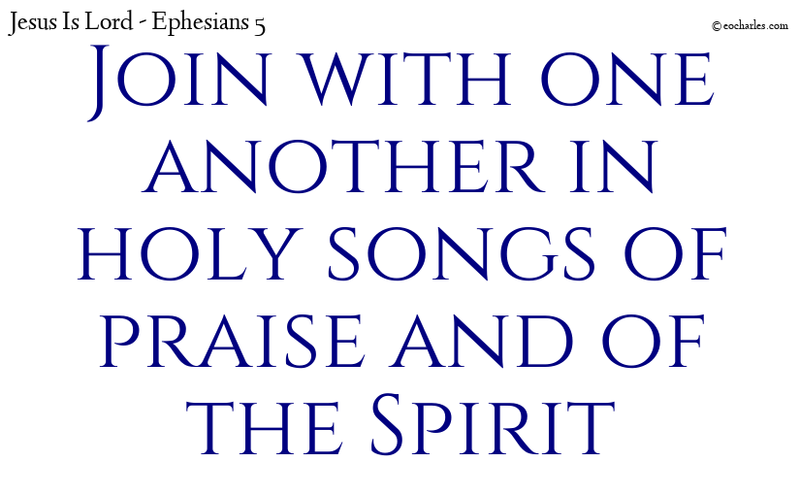 1)2Ch 7:14 IF my people, on whom my name is named, make themselves low and come to me in prayer, searching for me and turning from their evil ways; THEN I will give ear from heaven, overlooking their sin, and will give life again to their land. 1. ↑ 2Ch 7:14 IF my people, on whom my name is named, make themselves low and come to me in prayer, searching for me and turning from their evil ways; THEN I will give ear from heaven, overlooking their sin, and will give life again to their land. 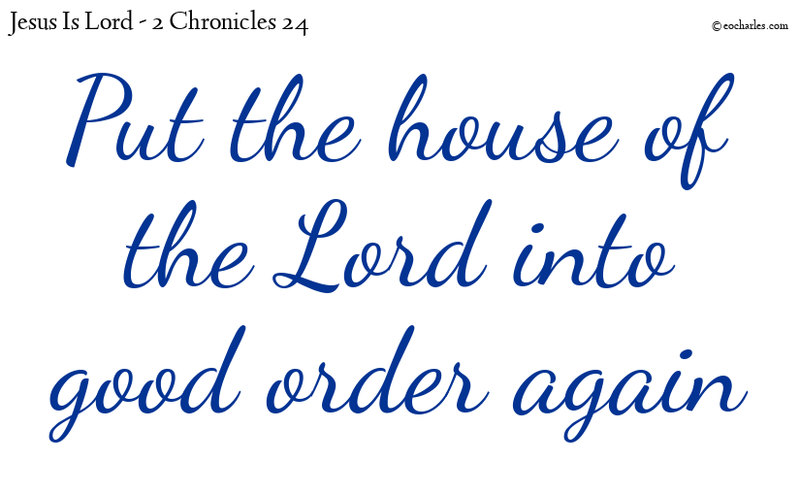 So that the priests were not able to keep their places to do their work because of the cloud; for the house of God was full of the glory of the Lord. 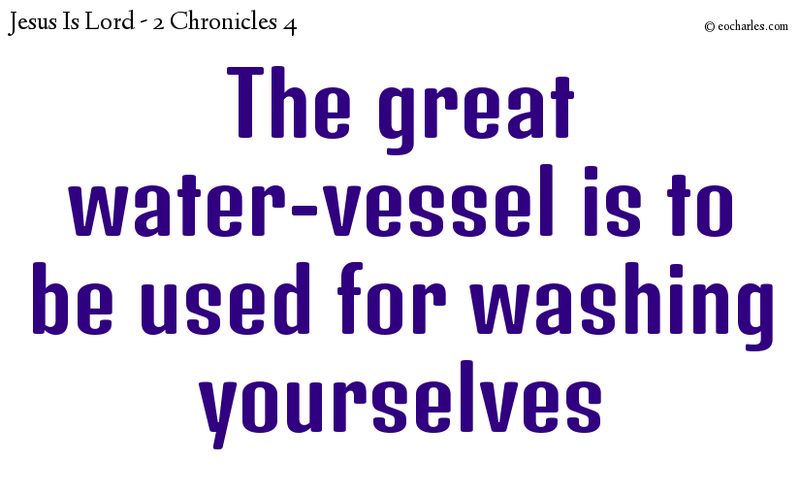 And he made ten washing-vessels, putting five on the right side and five on the left; such things as were used in making the burned offering were washed in them; but the great water-vessel was to be used by the priests for washing themselves.